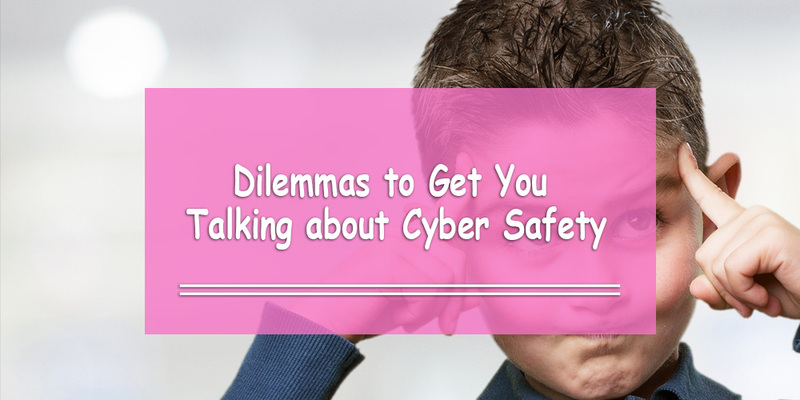 Have you recently had a conversation with anyone about cyber safety? If not, there might be a few questions you haven’t thought about yet. In today’s world, you face a bunch of questions about what to do in certain online situations. From cyberbullying to privacy concerns, you have to be on the lookout for all kinds of potential dangers that you might come across out of nowhere. You might even encounter a situation that you never even thought could happen to you online. And that’s why we want to get you thinking critically about cyber safety. Here are 10 discussion questions to get you started and to spark some meaningful discussions with your friends, your parents, and your teachers about how to protect yourself online. You went to a gathering you weren’t supposed to go to. You notice that several friends have posted photos online without your permission. You untag yourself, but the pictures are still out there. What would you do? Your older sister is driving you to school. You get stuck in traffic. She gets her phone out and starts texting, but you both know it’s illegal to use it while driving. What would you do? You and someone unpopular in your class follow you on Snapchat. You don’t want to include him in your circle of friends because you feel like your friends might make fun of you. What would you do? You’re gaming online. Someone asks you about your family and where you live. You’ve chatted with this person before, but you’ve never met in person. What would you do? You love YouTube. You like watching videos, but you also like reading the comments section to read people’s opinions. After watching a controversial video, you read a comment that offends you. You know that responding will only add fuel to the fire, but you’re really mad. What would you do? A teacher sends you a friend request on Facebook. She’s your favorite teacher, but it doesn’t feel right. What would you do? Your mom forgot to log off on her computer, and when you sit down at the computer someone you don’t know starts up a chat on her account. What would you do? Someone takes a photo with their phone of you changing in the locker room/restroom. You are convinced the person did it, but the person denies it. You’re furious. What would you do? Two friends are arguing by text and forwarding you each other’s messages with nasty comments attached, hoping to get you to take a side. You feel torn. What would you do? You find out that some kids have a website where they call some girls at school derogatory names and post stories and pictures of them. You check it out, and you have to admit you’ve heard some rumors about them before. What would you do?